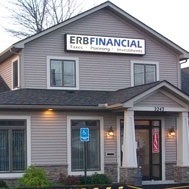 Peter Sartori works as an investment advisor at Erb Financial. He is a Chartered Retirement Planning Counselor, CRPC, certified by the College for Financial Planning. Peter started his career as a Financial Advisor at Merrill Lynch, and later moved to Centra Financial Group before joining Erb Financial in 2014.